I was shocked that a presidential biography could be so good. Many readers had praised the Truman book, but I thought they were exaggerating. I was happy to be proven wrong. I think there are several reasons why "Truman" was so compelling. First and most importantly was the man himself. So epic was his odyssey that Truman seemed like a character in a novel. Harry S. Truman was born in a small town in Missouri and he grew up on a farm. He was bookish, played the piano and wore glasses, which prevented him from playing sports. He enlisted in the National Guard and fought during World War I. Then he returned home to run a clothing store, and was asked to run for county judge. Later, he became a U.S. Senator, and then he was picked to be Franklin Roosevelt's vice president in 1944. He became president when FDR died in April 1945. Epic and astounding, yes? Truman comes across as a decent, hardworking, loyal, honest and down-to-earth guy. It's hard not to root for him -- he was so genuine. Another reason the book was so good was the brilliance of the writing. McCullough is a skilled historian and he wove a beautiful narrative. Truman was a prolific writer of letters, and many details and quotes in the book came from those epistles. I loved the stories of Truman's courtship of his wife, Bess, of his dream to be a concert pianist, of his battle experiences during the Great War, of his senator campaign, of his unlikely path to become vice president, of his whistle stop tour. Marvelous, just marvelous stories. Finally, there is the knowledge that Truman was such a key figure in American and world history. He had to take command at the close of World War II, he chose to drop atomic bombs on Hiroshima and Nagasaki, he decided to send American troops to Korea, and he ushered in a new kind of foreign policy for the United States. Each of those events was incredibly significant and had lasting consequences. 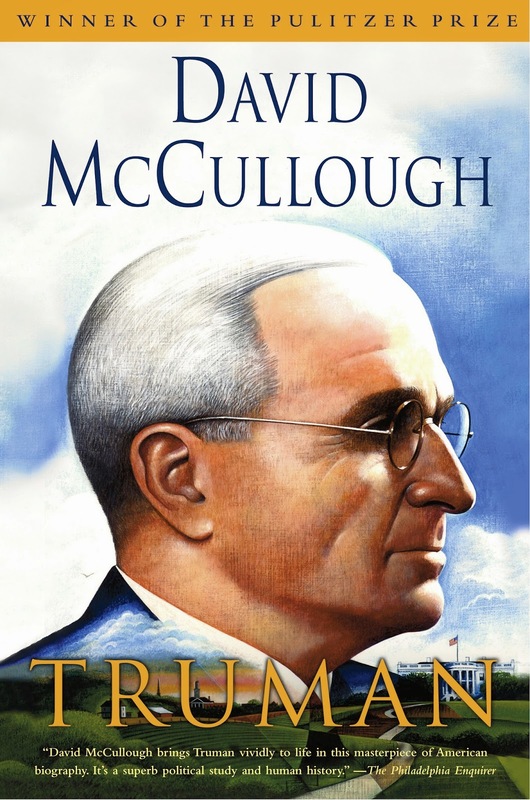 Speaking of controversial decisions, apparently some historians have criticized McCullough for not being tough enough on Truman. It was clear that the author held the former president in high esteem, but as a reader, McCullough's narrative made it a more enjoyable book. If I wanted to read a harsh polemic on Truman's wartime and foreign policies, I wouldn't have chosen an 1,100-page biography. That's what newspaper columnists are for. 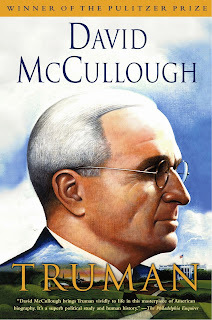 I listened to "Truman" on audio that was narrated by McCullough, and he had a fantastic reading voice. The recording included various sound bites from Truman's speeches, which were wonderful to hear. I highly recommend this book to anyone who loves history.